A company headquartered in California “AeroVironment”, is the creator of the latest unmanned aircraft system called the Nano Hummingbird. Recently, the firm managed to develop a “Nano Hummingbird”, which boasts high precision hovering and fast flight. It would be interesting to note that the device uses wings to fly. 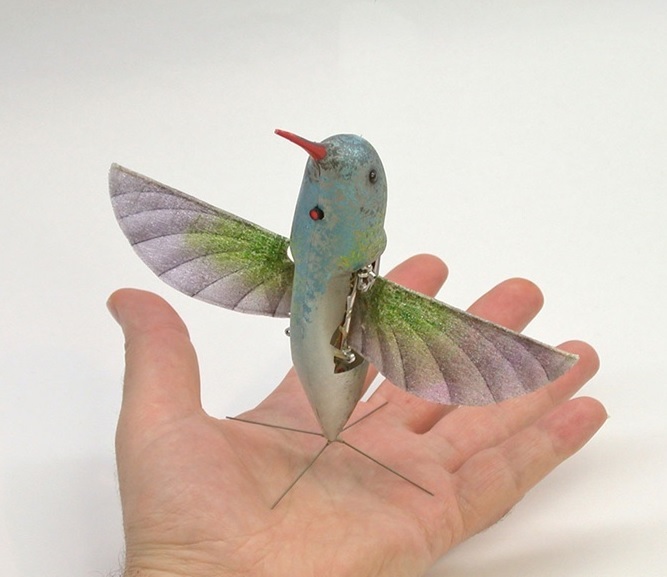 The final demo version of “Nano Hummingbird has a wingspan of 16 cm and its weight is 19 grams. Most impressive is the fact that the company was able to introduce into this small device, all systems are necessary for flight, such as batteries, engines, communication systems and video cameras. “Nano Colibri can move vertically up and down, flying sideways left and right, forward and backward and even turn clockwise or counterclockwise. All this is done by remote control. Roboptitsa can also make a 360-degree turn. It is worth noting that the “Nano Hummingbird” is part of the contract, Phase II, which was awarded AeroVironment from DARPA. The idea was to develop a miniature aircraft, like a hummingbird.